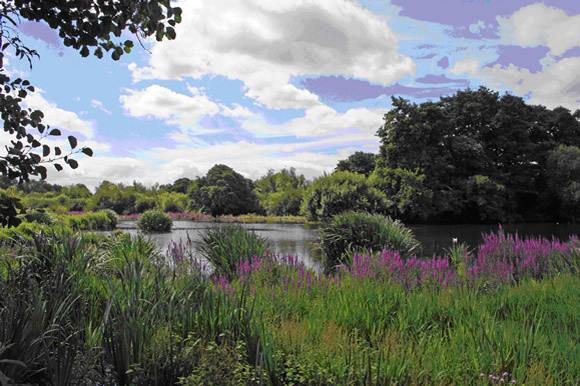 Maple Lodge is a wonderful 40 acre nature reserve consisting of lakes, marsh, hedgerows and wooded plantation. The reserve is in Maple Cross near junction 17 of the M25 (see the Lodge Map page for location details). It can be accessed by members any time of the year - click on the above green tabs or squares to take you to the website giving membership details, contacts, events, history and other information about the Reserve and the Maple Lodge Conservation Society. A link, the postal address, phone number and charity number are also given at the bottom of this page. 'The Biodiversity Records and Image Gallery of the Maple Lodge Nature Reserve'. You do not need to sign up to view the content of the above site but if you do (free of charge) you can make comments, post relevant notices or open up a discussion topic - For this purpose, however, you are encouraged to use the below Facebook Forum instead. Recent 'Website' Forum activity is listed at the right-hand side (bottom panel) of every page of this website. Also visit our Gallery page on this web site to select and view a wide range of photographs all of which were taken on (or associated with) the Reserve. Click on the 'Birds and Other Wildlife' tab to find annual reports dating back to 1982. Click on the Moths Seen to view a list of all species of Moth recorded on the Reserve and the year they were first recorded. The Spiders tab shows our list to-date of Spiders and when they too were first recorded. From November 2014 we now have a Maple Lodge Flickr group so that photographers, whether on Facebook or not, can share photos taken on the reserve. Many RSPB and Wildlife Trust reserves have their own Flickr groups; they are another way of capturing what's happening on the reserve and sharing it with others. They are also beneficial from a publicity point of view. * Apr 21 2019. Over 100 recent photos added to the Photo Gallery, including new birds, bugs, beetles and Bird boxes. * Apr 2019: The Maple Lodge Species Report for 2018 is now available for viewing or download. Go to the Birds and Other Wildlife page of this website and click on the left-hand yellow panel near the top of the page..
* Nov 25 2018: Nearly 300 recent photos added to the Photo Gallery, including new moths, Bat and Bird boxes and fungi. * Sep 16 2018: Over 300 recent photos added to the Photo Gallery, including new moths, beetles, dragonflies, other insects and other flora and fauna species. * Jun 16 2018: 196 recent photos added to the Photo Gallery, including several new moths. * May 10 2018: Latest annual Bird, Other Wildlife and Nest Box reports now available on the Birds and Other Wildlife tab. * Apr 15 2018: 119 recent photos added to the Photo Gallery, including most of the nest boxes around the reserve. * Mar 18 2018: Go to the 'Birds and Other Wildlife' page to see the latest cumulative Nest Box annual surverys up to and including 2017. [This is a new format report with photographs]. * Jan 21 2018: BIRD FLU - Please be aware that Bird Flu has been confirmed locally at Amwell in Herts. If anyone sees a dead bird on the reserve please do not touch it! Please call the Maple Lodge contact number 07580 535986 to report the sighting and we will alert the relevant authorities. * Dec 28 2017: 46 more photos added to the Gallery Page, including Great White Egret which is a first for the reserve. * Sep 29 2017: 188 more photos added to the Gallery Page, including a number of species new to the ML Species List. * Apr - Aug 2017: More photos added to the Gallery Page, including c180 most recently Aug 26th. * Mar 2017: Species List updated (see above). 2016 Maple Lodge Wildlife report posted (see Birds and other Wildlife tab). * April 2016: See Links Page for video of Great Crested Grebe chicks by Adrian Lee. Hairy-footed Flower Bee added to Species List. * March 2016: 2015 BIRD REPORT now available for viewing or download on the 'Birds Seen' page. Includes the year's Flora and Fauna records. * February 2016: Species List includes recent new entries and the Gallery Page has 50+ new photos added. * January 2016: Species List includes recent new entries (including two fungi) and the Gallery Page has a number of new photos added over the last couple of months. * March 2015: 2014 BIRD REPORT now available for viewing or download on the 'Birds Seen' page. Includes the year's Flora and Fauna records. * January 2015: More photographs added to Gallery, including Hoverflies and Beetles not previously recorded. 'Species recorded on the reserve' have now been separated from the 'Management Plan' and held in a new document (see link above). * September 2014: The Gallery page now automatically displays the latest (i.e. the most recent) 50 photos uploaded to the site and also gives an option to display the latest 50, 100, 150, 200 or 250 photos.